Though a relative newcomer to the finishing industry, powder coating is in increasing demand among appliance, automotive, and general-use product manufacturers all over the world. Providing a durable, flexible and inexpensive alternative to traditional paints, it also appeals to consumers because of its environmental friendliness, as it contains no solvents, and generates fewer pollutants. Countering a large list of perks are the disadvantages; powder coating companies encounter problems as unique to powder coating as the process itself. Among these disadvantages is the Faraday cage effect. The process of powder coating was developed for industrial purposes in the early 1960s. Traditional paint is applied wet, with pigments and resins suspended in a liquid that evaporates during drying, leaving only the paint on the object. 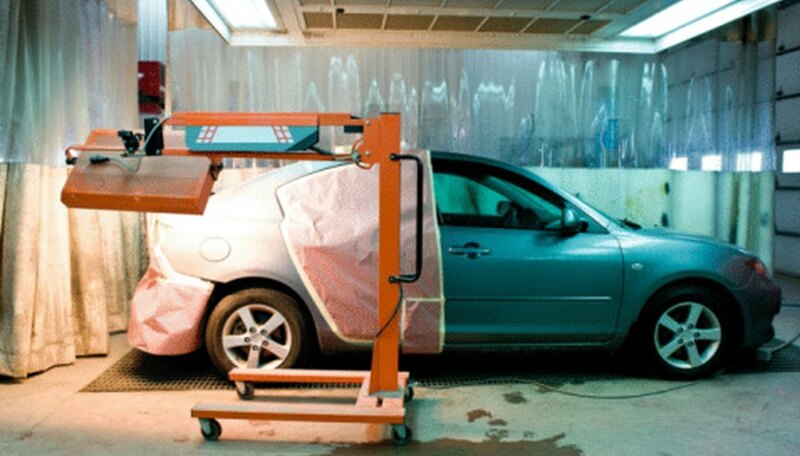 Powder coating, on the other hand, relies on static electricity to adhere an already dry paint powder to clean metal. The object is then baked, causing the paint to melt, and form a rock-hard finish. The resulting finish is both stronger and thinner than wet applications. Starting in 1823, the British scientist Michael Faraday began his groundbreaking work in the field of electromagnetic studies. In addition to laying the groundwork for modern electromagnetic technology, he also is given credit for discovering both the Faraday and the Faraday cage effect. Faraday observed that the interior of a charged conductor held no charge, a finding which came to known as the Faraday effect. This resistance directly related to the presence of electrostatic forces on the exterior of the conductor, the Faraday cage. In powder coating, the charged particles themselves create resistance in the small corners, creating Faraday’s cages. This electrical field is a common, but endlessly frustrating problem for powder coating operators. An object with inside corners or an oddly shaped interior is pulled from the baking oven with unpainted edges. The then untreated metal is at high risk for corrosion. Though it can be touched up by hand, just a few small adjustments during the process may eliminate the issue. To ensure more complete coverage, operators can decrease the output of the spray gun, or change the spraying angle of the gun itself, optimally reaching corners at an indirect angle. In addition, the area which the objects rest during the spray process should be checked periodically for paint build-up. This would result in the loss of grounding, which increases the Faraday cage effect. All equipment, grounding area, gun and nozzle included should be checked to ensure nothing is creating static resistance. Jessica Brower is pursuing a B.A. in English and literature with The Evergreen State College. Writing since 1999, she has been published in various community publications. Brower's essays were published in "Beyond Parallax," the literary journal of Centralia College, which she also co-edited.